I love movies. I love video games. So, obviously, I love video games based on movies. Well, I love the idea of video games based on movies. And this type of corporate synergy has been going on for years. Ever since the enormous popularity of the Atari 2600, both video game companies and Hollywood have tried to capitalize on popular movie brands to boost sales. And it makes for awesome pop culture ephemera. 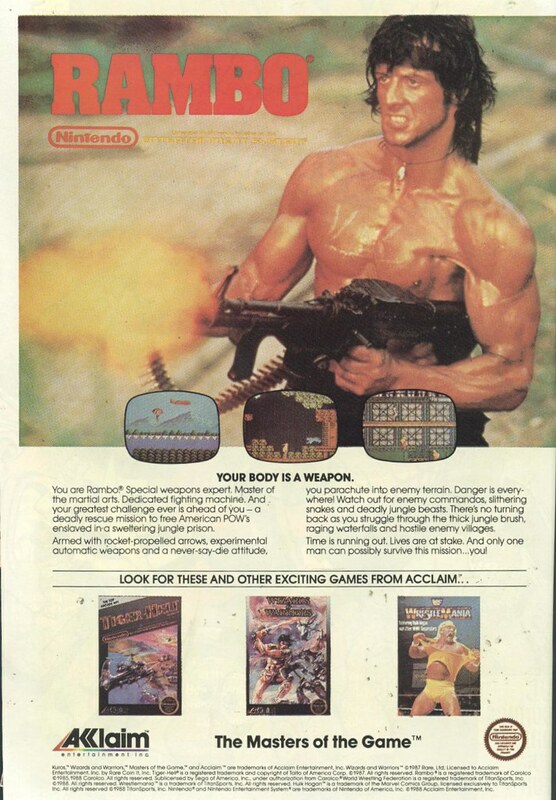 So here are 14 awesomely vintage ads for video games based on popular movie franchises. 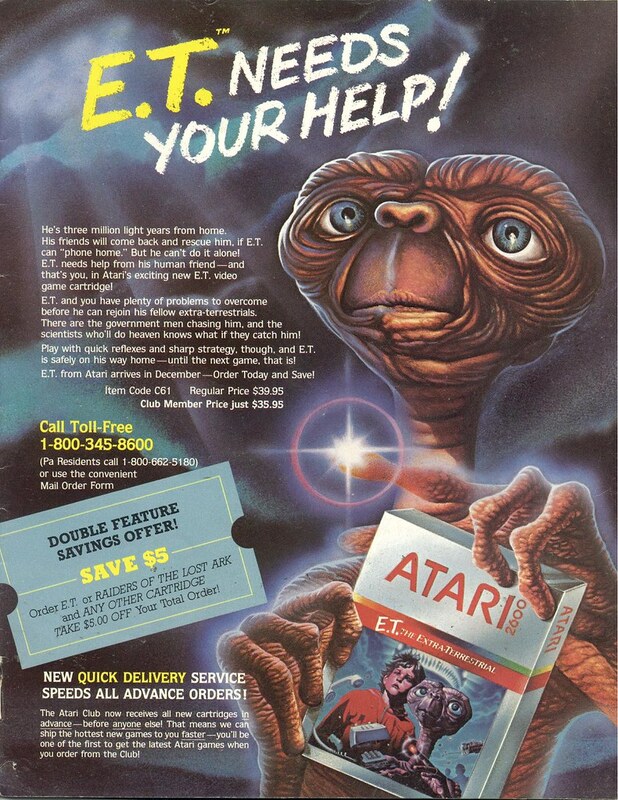 ET (Atari 2600 – 1982) – This is it. The game that felled the house of Atari. Yes, I owned this game and hated every second I played it. I know a lot of people now retroactively say they enjoyed it, but I HATED it. You can only fall into an empty pit so many times before you throw the controller through the TV screen. Surprisingly, this game was designed by the same guy that did Yars’ Revenge, the highest selling original Atari game (and one of my all time favorites). Talk about Jekyll and Hyde. Seanbaby rated ET #1 on his list of 20 worst video games OF ALL TIME. 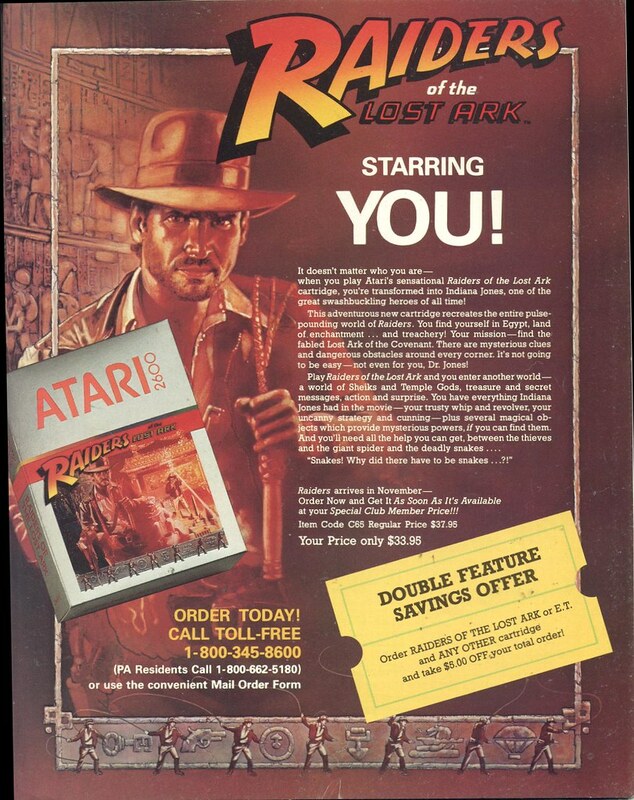 Raiders of the Lost Ark (Atari 2600 – 1982) – Around the same time ET was released, Atari also released this game based on the first Indiana Jones movie. And it’s starring YOU! 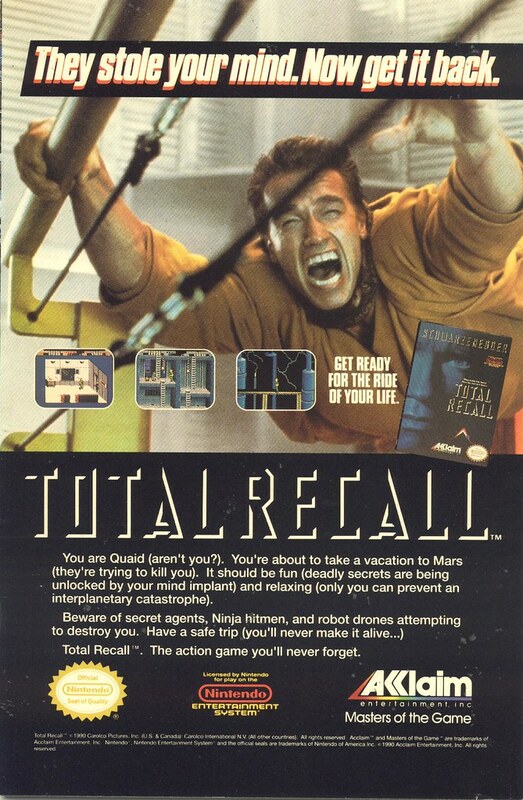 Total Recall (NES – 1990) – Video game based on the popular Arnold Schwarzenegger movie, Total Recall. Seanbaby rated this game #15 on his list of 20 worst video games OF ALL TIME. 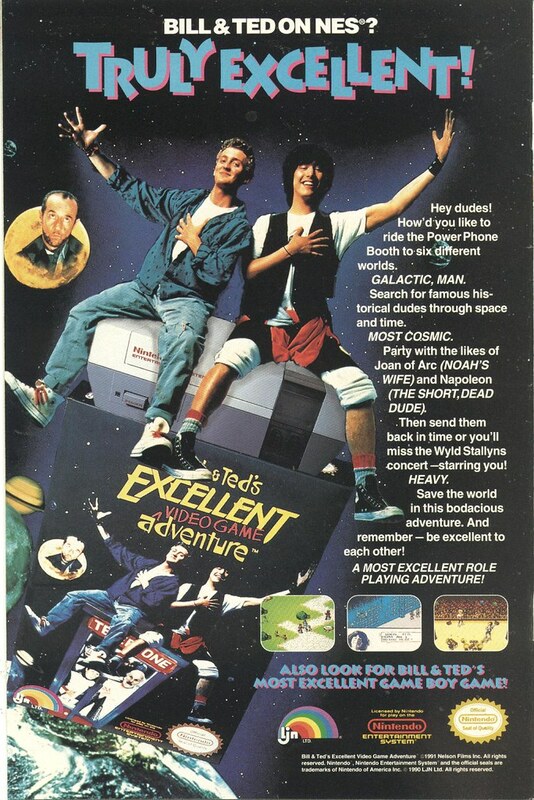 Bill & Ted’s Excellent Video Game Adventure (NES – 1991) – Bill & Ted. It is amazing this movie was as popular as it was. I mean, the movie spawned a sequel, a cereal, a cartoon show and a live action show at Universal Studios. And Keanu is even talking about making another one. Most excellent. I never played this game but I loved the first movie. Rambo (NES – 1988) – A side scrolling shoot ’em up adventure game that very closely resembled the Zelda sequel, The Adventures of Link. Star Wars Arcade (Atari – 1983) – The original vector based Star Wars game by Atari was extremely popular with fans. So, of course Atari was going to port it to their home consoles. 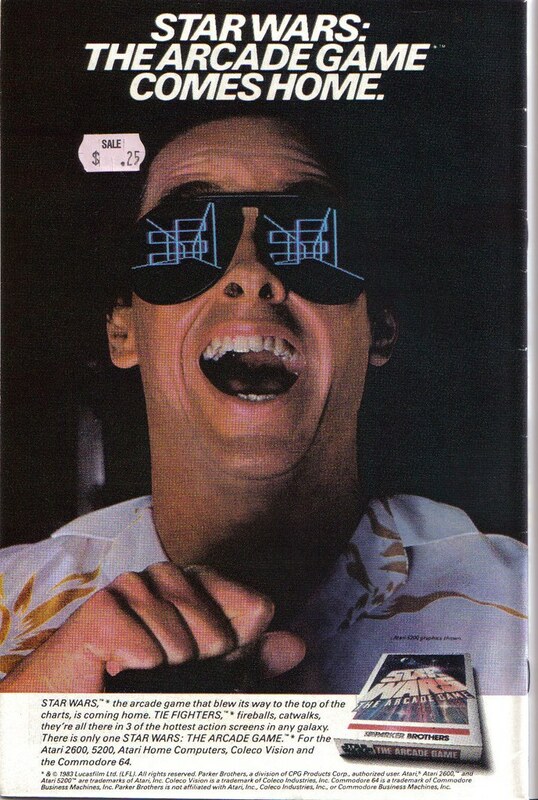 Here’s an ad for the Atari port of the Star Wars arcade game for the 2600 and 5200. 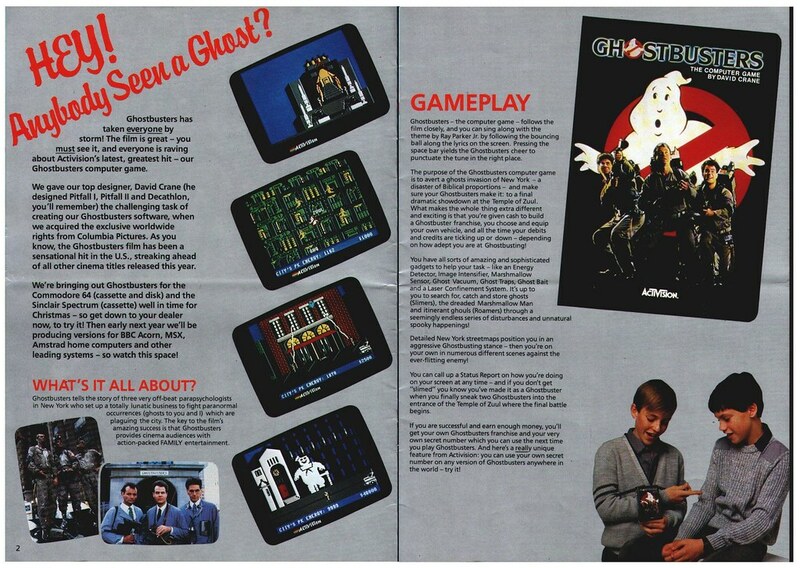 Ghostbusters (Atari 2600 – 1984) – Normally games go from home consoles to the computer. However Activision went backward and actually ported this Atari 2600 game from the Commodore 64 computer. It received a very big release on the Atari 2600 with lots of ads and a huge marketing push. 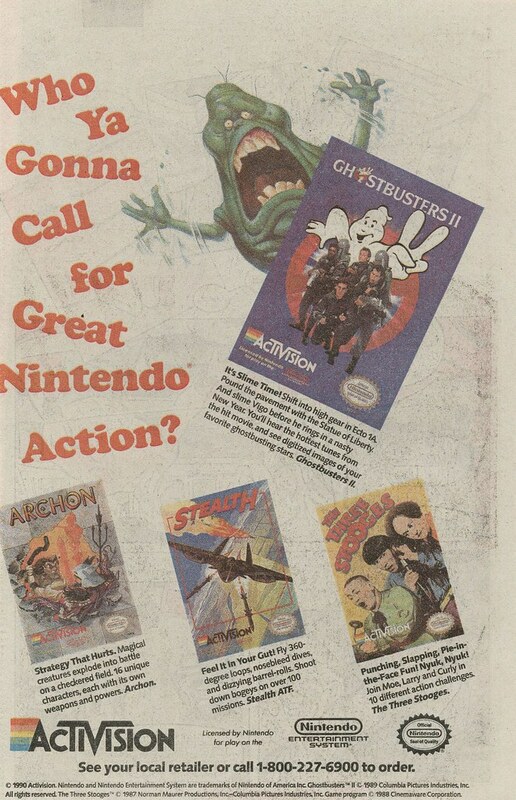 Ghostbusters II (NES – 1990) – Activision also created a game for the Ghostbusters sequel but this time on the Nintendo Entertainment System. It did just about as well as you would expect a Ghostbusters II game would do. Also in this ad is The Three Stooges game. I had that game and it quickly became one of my favorites. It was so much fun to play. Miles better than the G2 game. 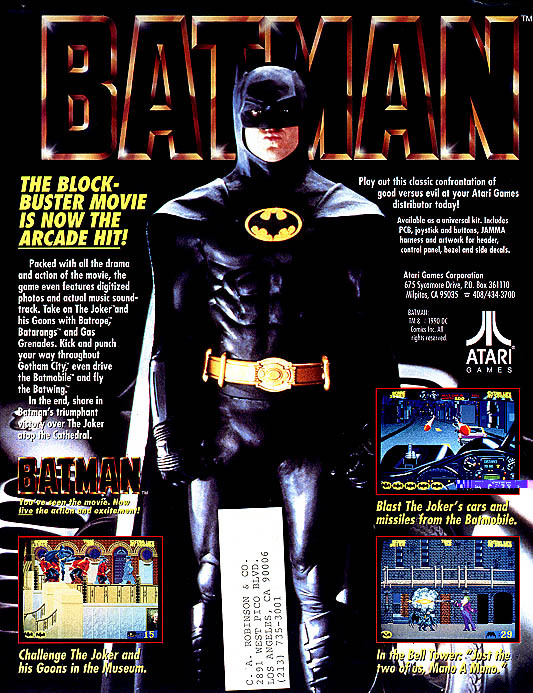 Batman (Atari – 1990) – This ad is for the coin-op arcade game based on the first Tim Burton Batman movie. It was released by Atari in 1990 and featured digitized images from the movie. 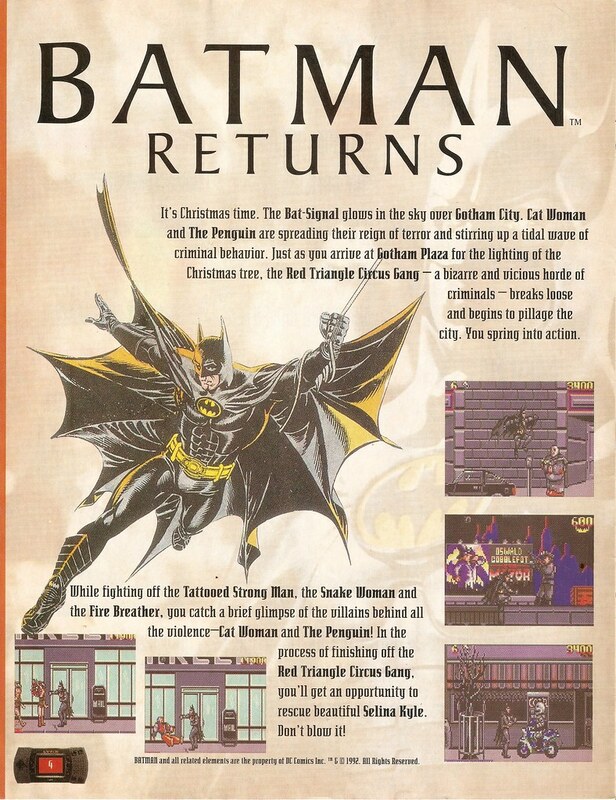 Batman Returns (Atari Lynx – 1992) – Here’s the ad for a video game based on the second Tim Burton Batman movie, Batman Returns. It was also developed by Atari and released for the hand held Atari Lynx in 1992. 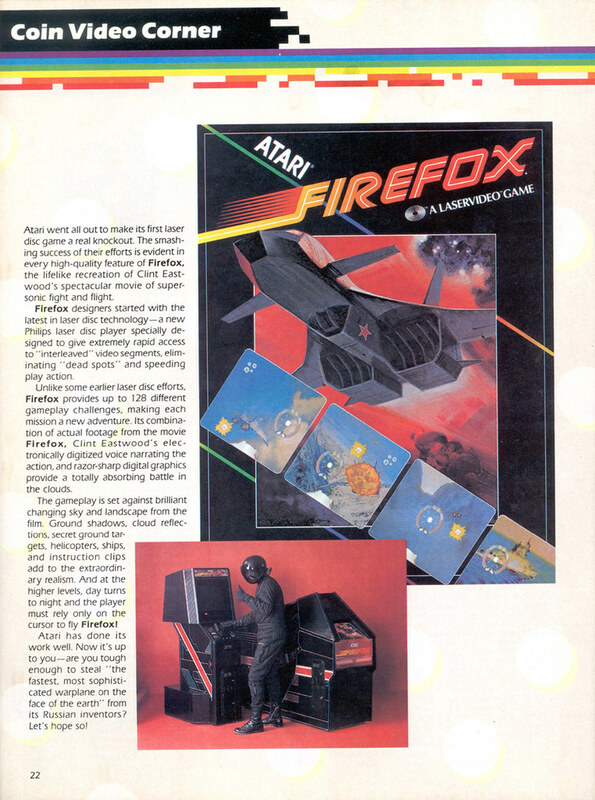 Firefox (Atari – 1983) – Promotional ad for Atari’s coin-op game, Firefox, based on the Clint Eastwood movie of the same name. This game was the only laserdisc based video game Atari developed. See screen shots for the game here. 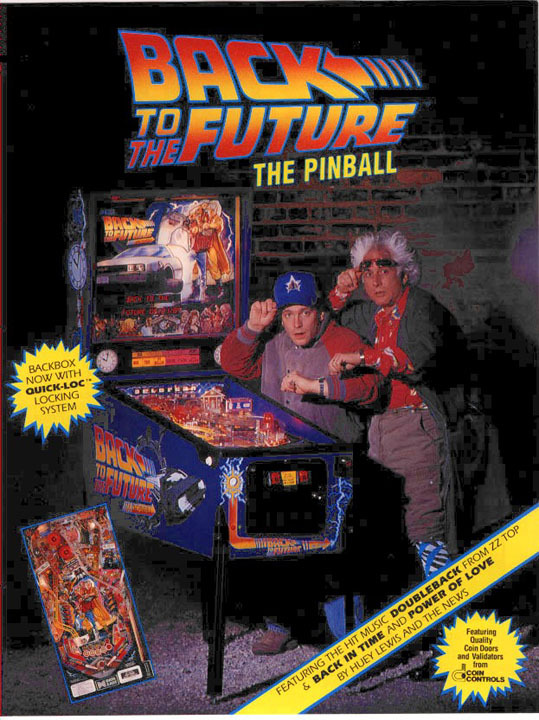 Back to the Future (Data East – 1990) – This is the ad for the Back to the Future pinball game. It was released by Data East in 1990 to coincide with the third movie. I don’t know what the hell they were thinking when they cast the two guys in the ad as Marty and Doc. WTF?! 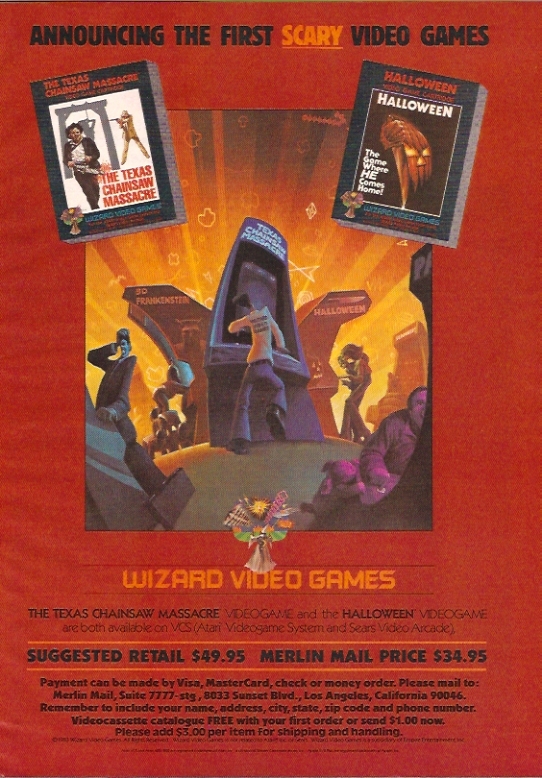 Texas Chainsaw Massacre/Halloween (Atari 2600 – 1983) – Great ad for two very rare Atari 2600 games based on the movies Texas Chainsaw Massacre and Halloween. Both released in 1983. Matt actually did a great writeup of the Halloween game as well as the Texas Chainsaw Massacre game over at X-Entertainment. He discusses the game play and provides lots of screen shots. 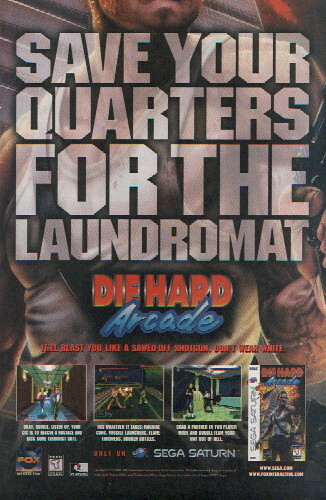 Die Hard Arcade (Sega Saturn – 1997) – The Die Hard Arcade game was released in America in 1996. It was actually just a retooling of the popular Japanese game Dynamite Deka. The Japanese game had little to do with the Bruce Willis movie but a Sega team, in conjunction with a Japanese development team, modified a few aspects of the game play to resemble the movie. This particular ad is for the 1997 Sega Saturn version of that arcade game. Interestingly, the Japanese Dynamite Deka sequel bore a striking resemblance to the movie Speed 2, but was released in America as Dynamite Cop. This entry was posted on February 21, 2011 at 9:00 am and is filed under Activision, advertising, Atari, Back to the Future, Batman, movies, Star Wars, video games with tags advertising, Back to the Future, Batman, Cavalcade Arcade, movies, nostalgia, pop culture, Star Wars, video games, vintage. You can follow any responses to this entry through the RSS 2.0 feed. You can skip to the end and leave a response. Pinging is currently not allowed. Batman is probably the only game(s) on this list that I actually remember enjoying (moreso Batman Returns). Ghostbusters nearly broke my heart when I first played it, the controls were awful. I’ve never played the sequel on NES, though… might have to track that one down. Wow. The Total REcall one just looks bad. I always liked Bill & Ted tho. Are you sure Rambo was a shoot ’em up? I thought that was largely held as one of the strangest aspects of the game: the lack of shooting. Ahh, crap. You are right. I didn’t mean “shoot ’em up”. I just meant side-scrolling adventure. I guess Rambo got in my head and took over. How dare you leave out the best movie videogame EVER! LOL, you totally called me on that, Collier. Actually, I didn’t have an ad for it. If I had found a cool ad for it, I would have used it. As for the movie, I’ve actually softened my stance on hating it. I plan on renting the Blu-Ray and giving it another chance very soon. I have it in my Netflix queue right now. Oh man, you’re bringing me back! Old movies AND the Atari! I don’t think I was cool enough to own any of these movie-based Atari games — I just had some generic stuff. But my brother and I certainly had fun on the Atari for HOURS and HOURS. These ads for the games are utterly awesome. I mean, Arnold caught in mid-leap? And the ad dude who wrote “Save Your Quarters for the Laundromat” should’ve gotten a medal for that. Bold and beautiful, baby. Congrats on some superb ads there! Indy, ET, Star Wars, BTTF – all faves of mine and of course classic films. The artwork is just outstanding on these. Cheers.